US closes Haifa Consular Agency 'until further notice,' citizen services will be available in Jerusalem, Tel Aviv. The US Department of State will close its consular office in Haifa, whose work is to be divided between the embassy branches in Jerusalem and Tel Aviv. 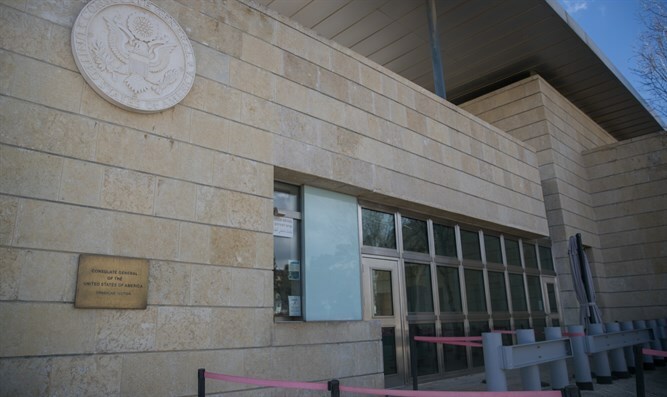 "The US Consular Agency in Haifa will be closed for public services from September 1, 2018, until further notice," read a statement on issued Friday. Ynet quoted a statement from the US Embassy which said the move is "part of internal planning of the embassy and of administrative reasons." The Department of State took a 29-percent budget cut in the federal budget for 2018, which was passed in March. It was allocated $27.1 billion. Earlier this week, the United States’ embassy in Abuja, Nigeria, announced that it is temporarily shutting down its consular section in Nigeria’s capital city. The embassy did not state the reason for the closure.